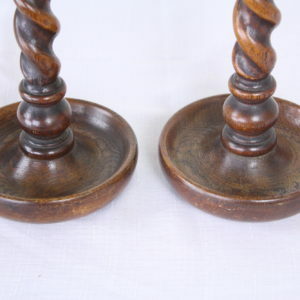 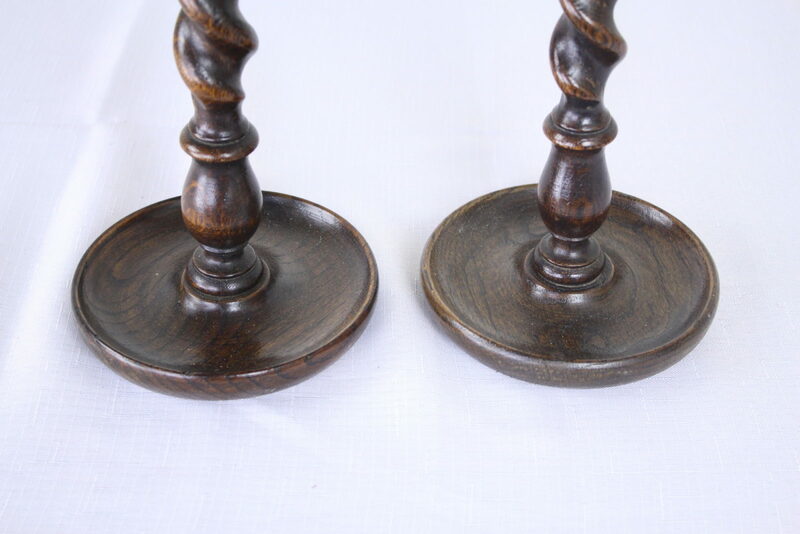 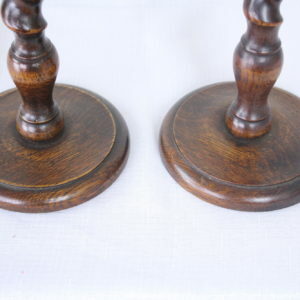 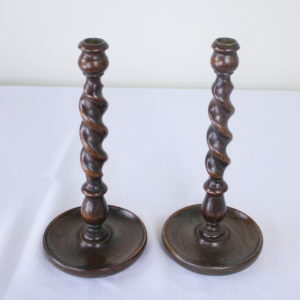 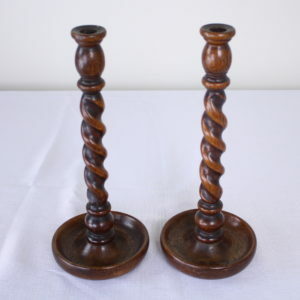 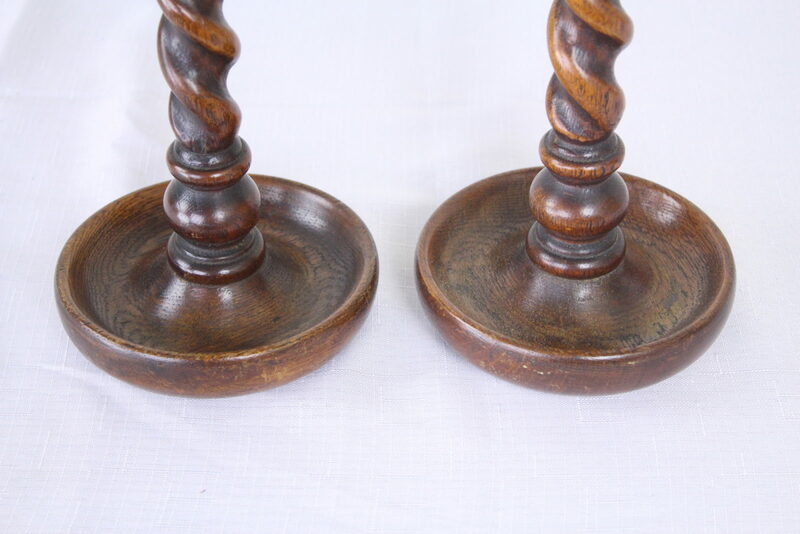 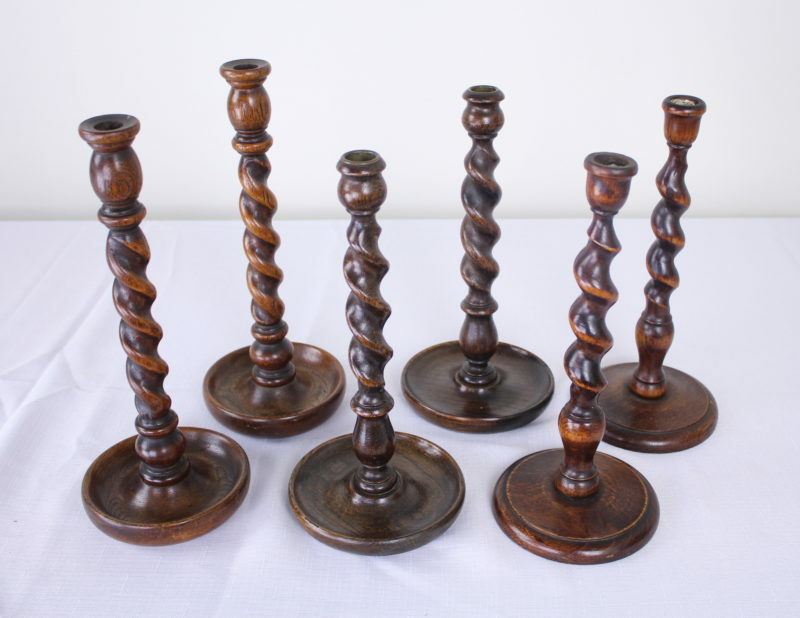 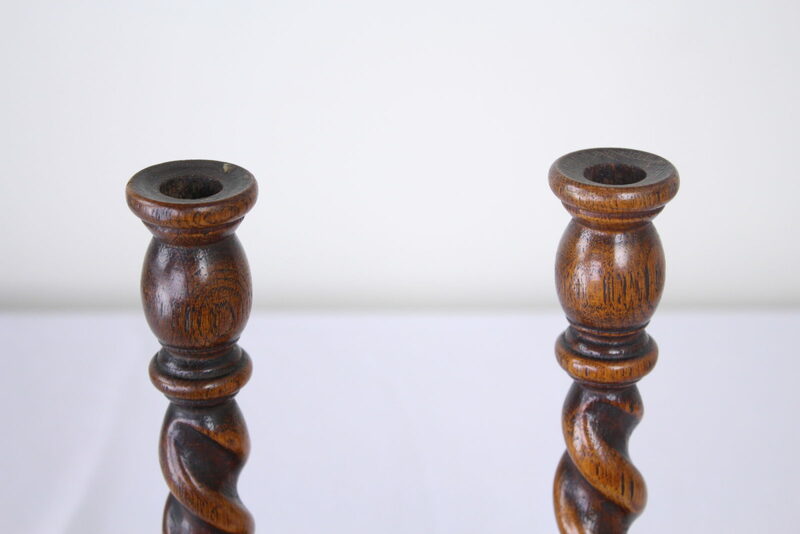 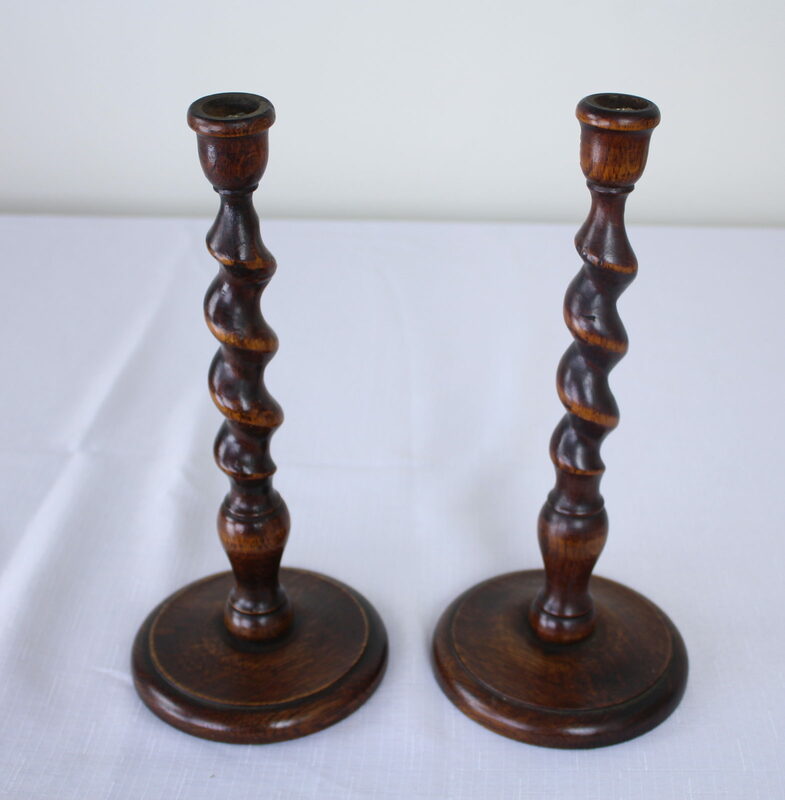 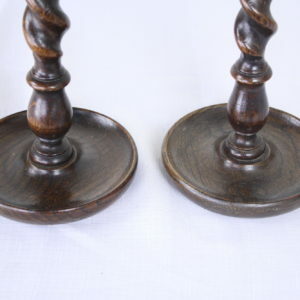 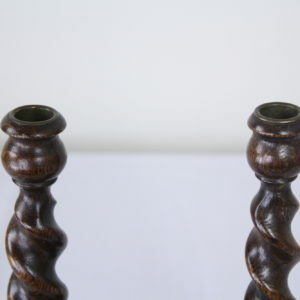 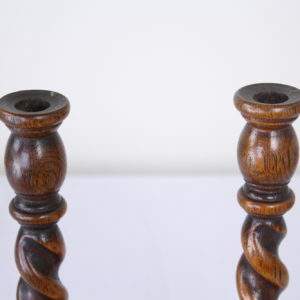 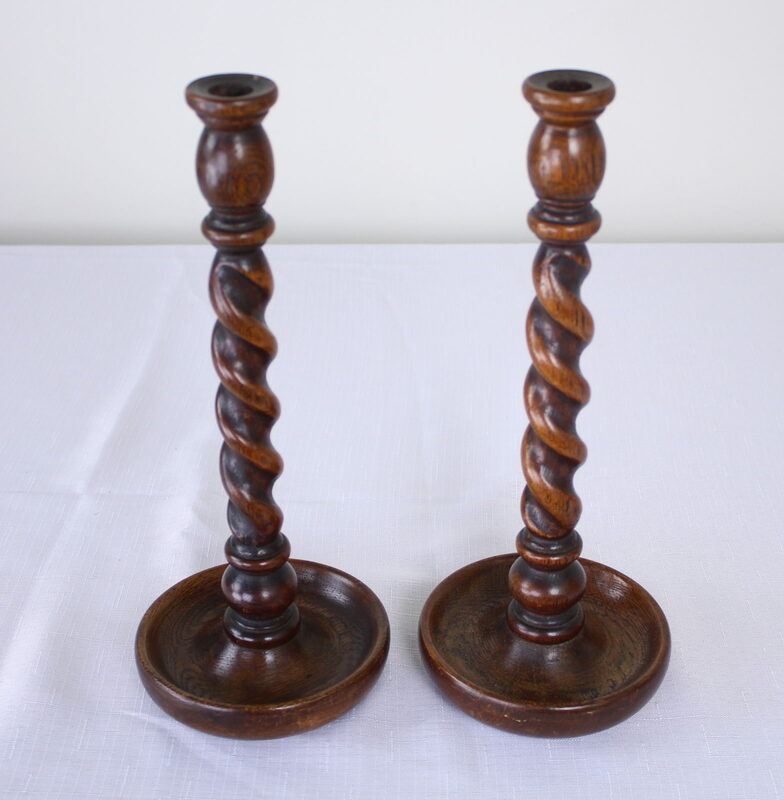 A small collection of oak candlesticks, England c 1900. Heights vary from 11-13″ and with tall candles, will be stunning on the table or the mantle. 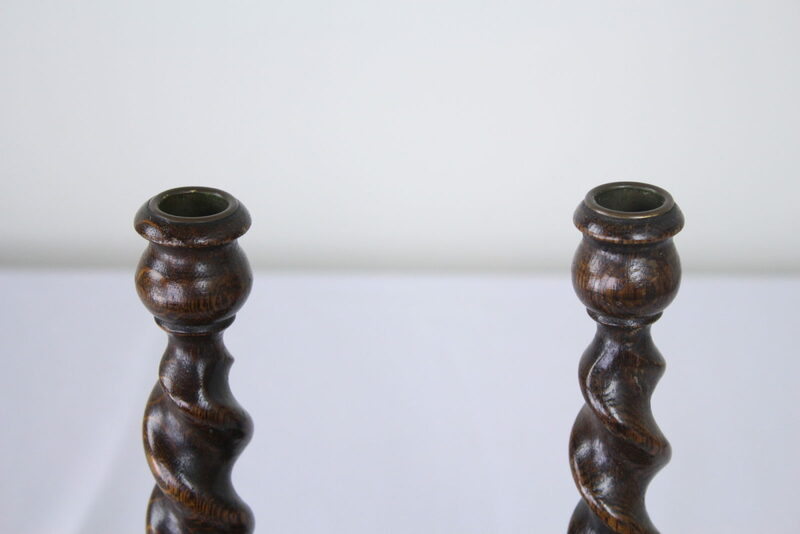 Hand turned barley twists. 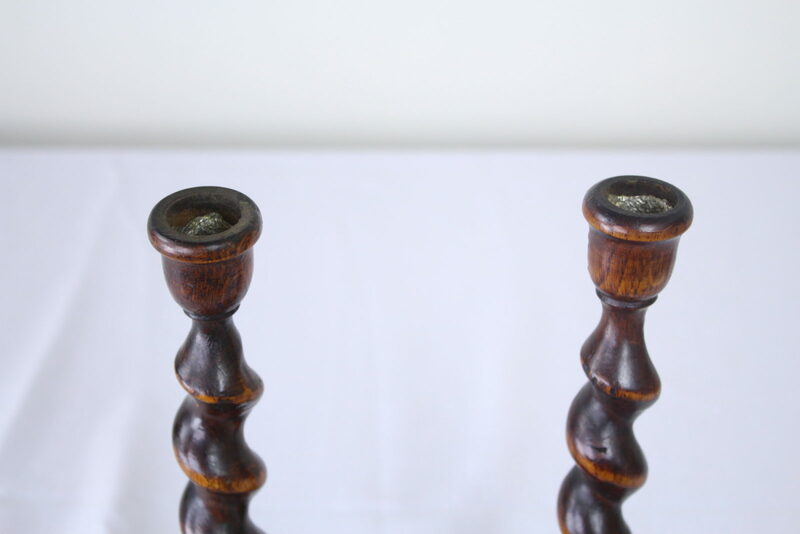 Some sticks should have candle grippers, available at the hardware store, to hold candles tight and upright. 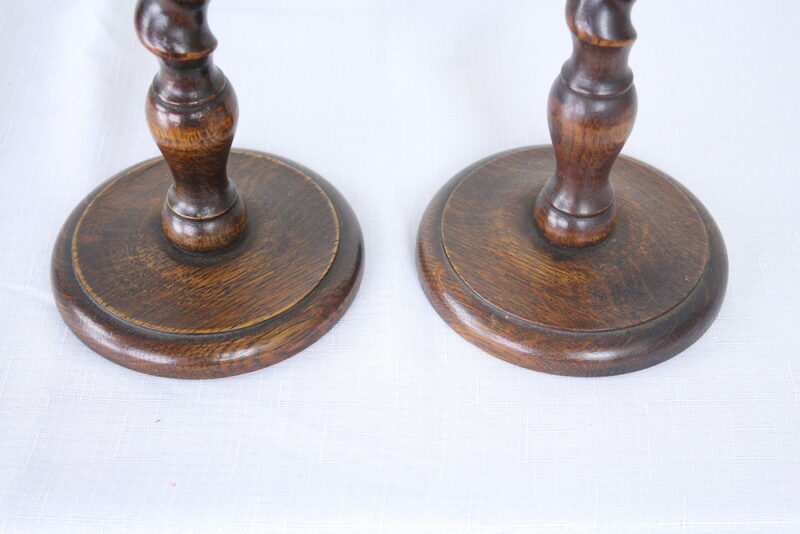 Lovely bases. 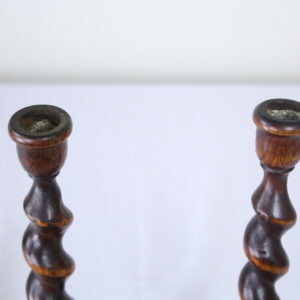 Dimensions below are for the tallest sticks.